To the left, radio station WJAX is housed in a two story brick building. 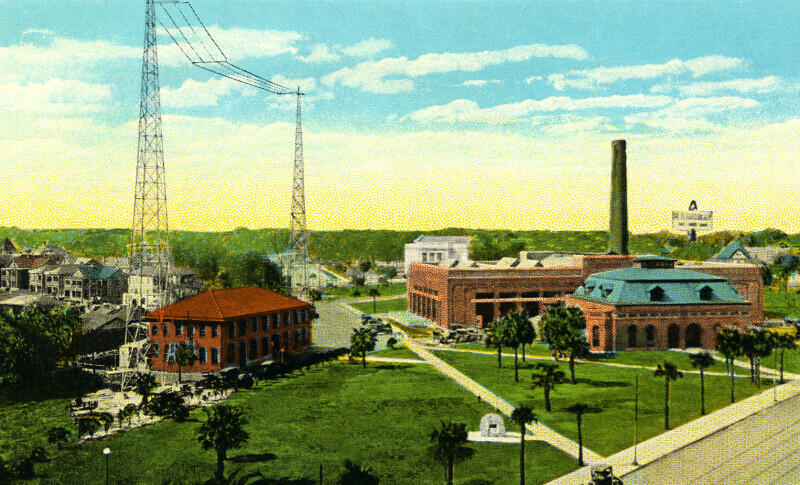 To the right, the large brick building, with a smokestack, is the water works. The greenspace between the two buildings is Water Works Park. There are two metal frame towers to broadcast the radio station's signal. On the left margin, houses are visible.